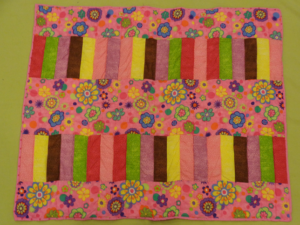 The MUUC Quilters create hand-made quilts for many good causes. They meet on Fridays from 9:00 am until 11:00 am. Newcomers are ALWAYS welcome to join in. No experience necessary – they are always happy to teach. 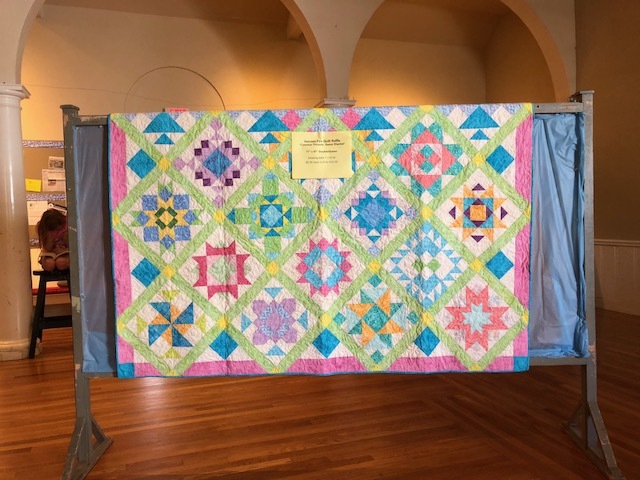 In addition to creating a lovely quilt to be raffled during our Annual Harvest Fair, the Quilters also make many other items for the fair and for our Annual Auction. There are also several on-going outreach activities, outlined below. The MUUC Quilters have donated dozens of baby quilts to a Somerville program for women in recovery. They also prepared children’s quilts for the Tufts Medical Center Pediatric Emergency Department . 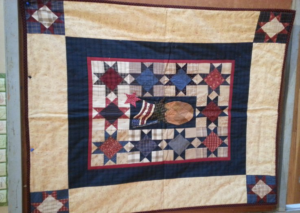 In the past, the quilters also have made many lap-quilts for hospitalized veterans. Quilts were donated to the Soldiers Home in Chelsea and the Veterans Medical Center in West Roxbury. The quilters have also created a gorgeous quilt that will be raffled off during our annual Harvest Fair on Saturday, November 10th.